By enhancing your business security with a commercial fire alarm system, you’re protecting your business and employees from the potentially devastating effects of a fire. Our commercial fire alarm system is monitored by our alarm receiving centre ensuring peace of mind for your business premises. 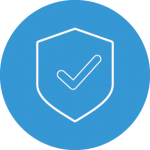 As a business owner, you take your legal responsibilities seriously, including the security of your staff. Broadsword Security fire alarms come with fireproof cables that run on 24V – twice the power supply of intruder alarms – and every fire alarm installation conforms to BS5839. We offer enhanced security and reassurance with the option to link your fire alarm system to a secure alarm-receiving centre. This means you can sleep easy, knowing your business premises are monitored and protected 24/7. One of the biggest fire safety concerns is unchecked alarm systems, leaving business premises and staff vulnerable. We provide a maintenance service scheme to check your alarm system, scheduling regular visits to ensure it’s always fully operational. 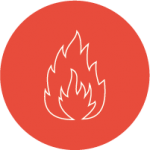 We supply, install, and maintain all of our commercial fire alarm systems, making us your “one-stop-shop” for all your fire safety needs. Although we’re competitively priced, you won’t find a better quality or more reliable fire alarm system anywhere on the market. All our engineers are fully trained and qualified. They know the best placement for your commercial fire alarms and are always on hand to answer questions and offer advice. With over 30 years in the business, there’s nobody better to protect your premises. A commercial fire alarm system from Broadsword Security means you’re legally covered in protecting your business, staff and customers with an industry-approved alarm system that conforms to the highest safety standards. Contact us today to find out how we can help.